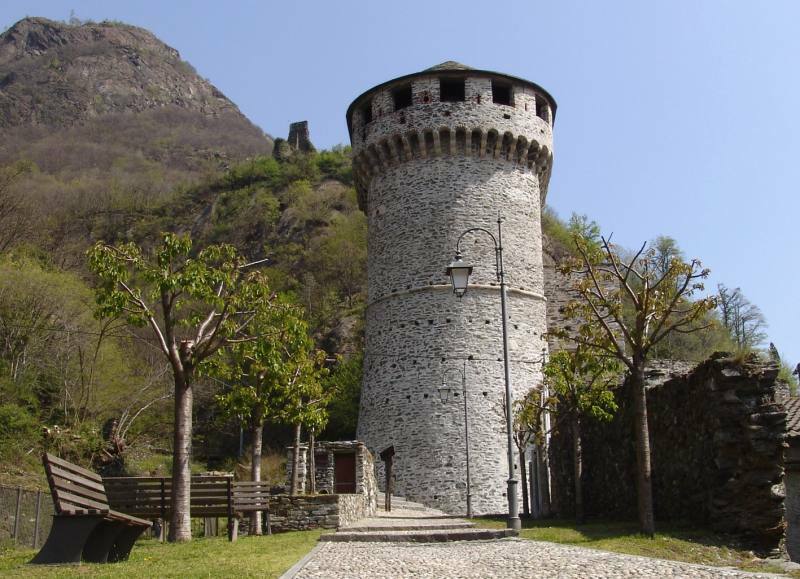 The Castello Visconteo di Vogogna (Vogogna Visconti castle) is on a high ground dominating the village below: the defensive intent is evident of its commissioning party Giovanni Maria Visconti, who wanted to build a rampart for the entire valley and in particular, for the town of Vogogna, which in 1328 became the capital of lower Ossola. The oldest nucleus is the square tower, the only part not involved in the renovations in 1990, and the section of wall closest to the mountain. 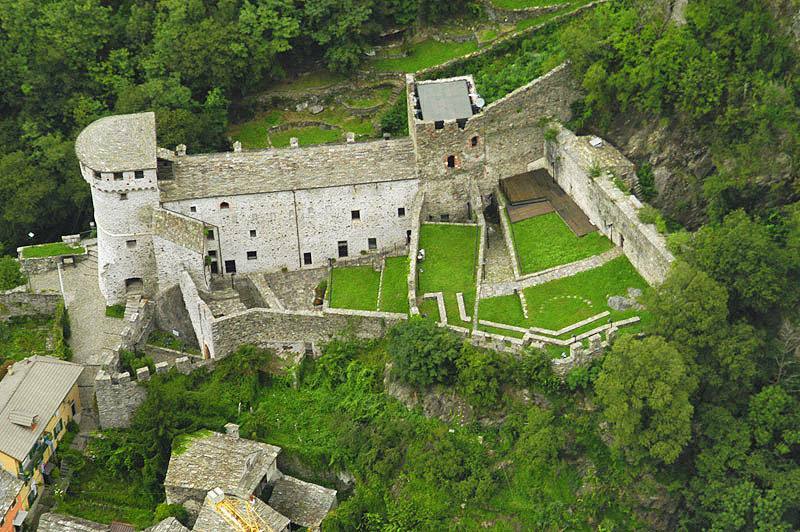 In 1348, Giovanni Visconti had the existing fortress expanded by constructing new sections of building close to the existing ones. This is how rather different architectural elements were combined. A direct consequence of this was also the irregular layout which still distinguishes the complex today, and the peculiar characteristics of the land. 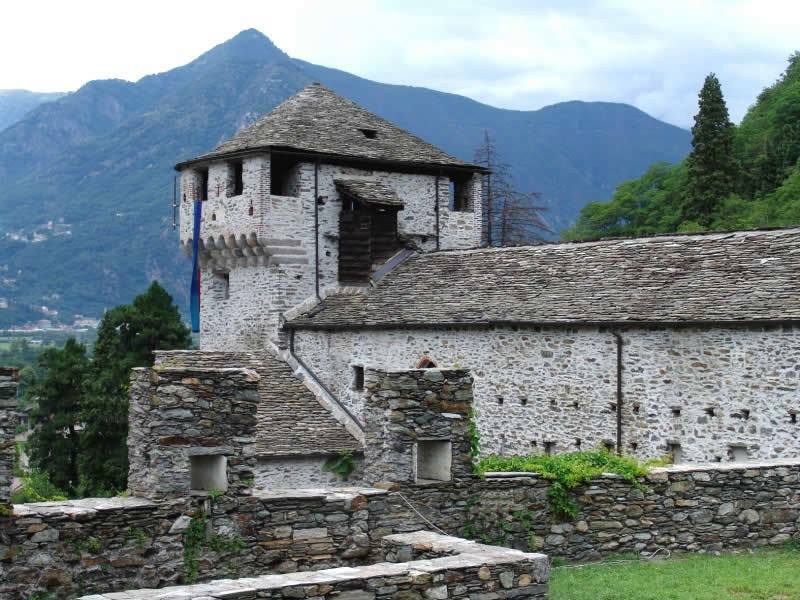 The walls were expanded in the same period (up to and including the entire village, for defence purposes) and Palazzo del Pretorio was built at the base of the steps leading to the castle. This was to be the vicar’s seat. 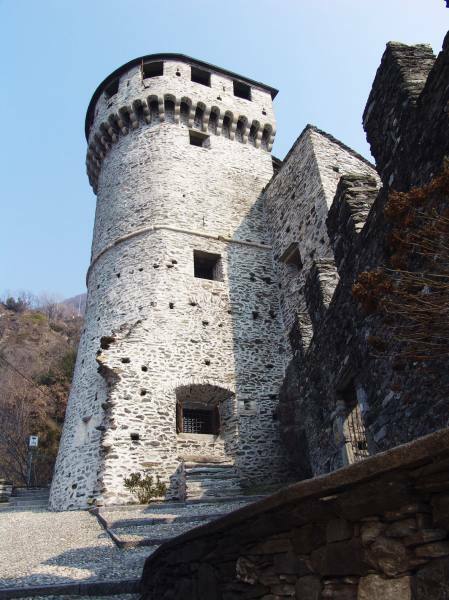 In 1360, the castle was attacked by a league headed by Marquis Monferrato; 15 years later, it was the turn of the Spelocri, a faction whose centre was Vogogna’s bitter antagonist Domodossola, the capital of upper Ossola. The castle became municipal property at the end of the 18th century and was used as a place of refuge both for political prisoners and common criminals. In 1970, it was closed to the public and 20 years passed before renovations began. However, almost 30 years transpired before the castle was opened to the public again, with the inauguration of the garden and outdoor courtyards. New infrastructures inside the complex were added between 1998-2004. The inauguration took place 4 June 2005. The visitor’s attention is captured by the semi-circular, 5-storey tower (height 19.40 m). Historians hypothesise that it was crenellated and that the roof was built later with respect to the rest of the structure, which was probably built in the 15th century. The tower later became a prison until 1914. The narrow cells and prisoners’ graffiti can still be seen inside. After the renovations, these areas began hosting permanent exhibits on the ground floor, and touring exhibits on the first floor as those in the main body. 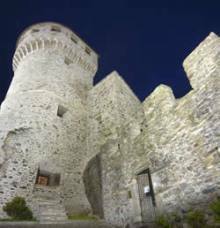 It is restricted to the west by the semi-circular tower and to the east by the square tower. Each of the rooms on the three floors in the building have a fireplace: this seemingly indicates living quarters. The top floor is currently used as an information hall and to host conferences organised by the Multimedia Centre, which is located in the square tower. A 3-storey, transparent structure was created inside it: the first is used for looking up material while the others are used to create and file multimedia materials.